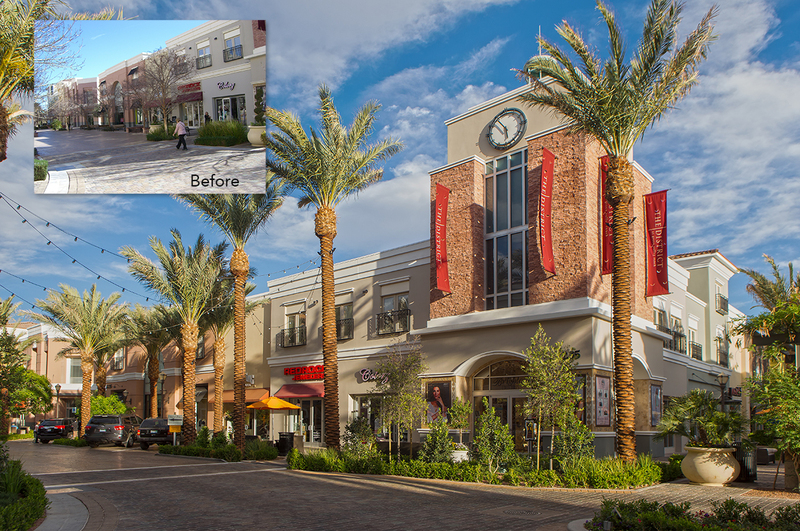 Lifescapes was brought in to revitalize an existing center that was underperforming. 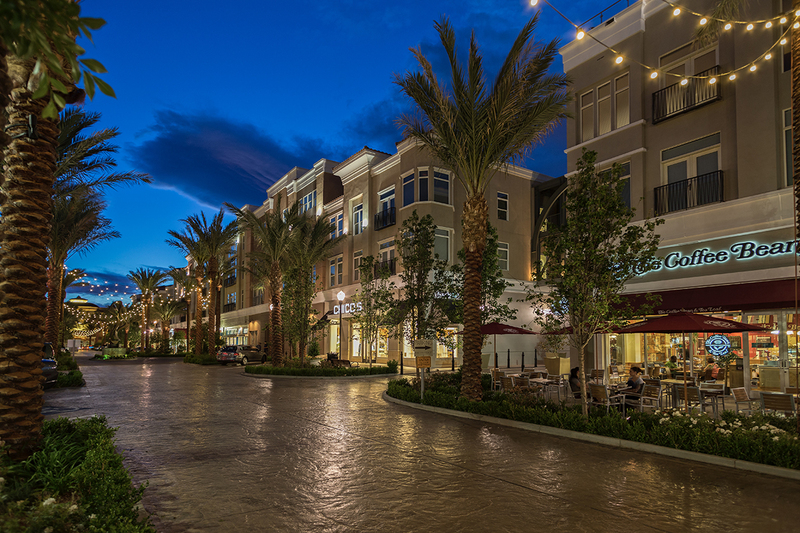 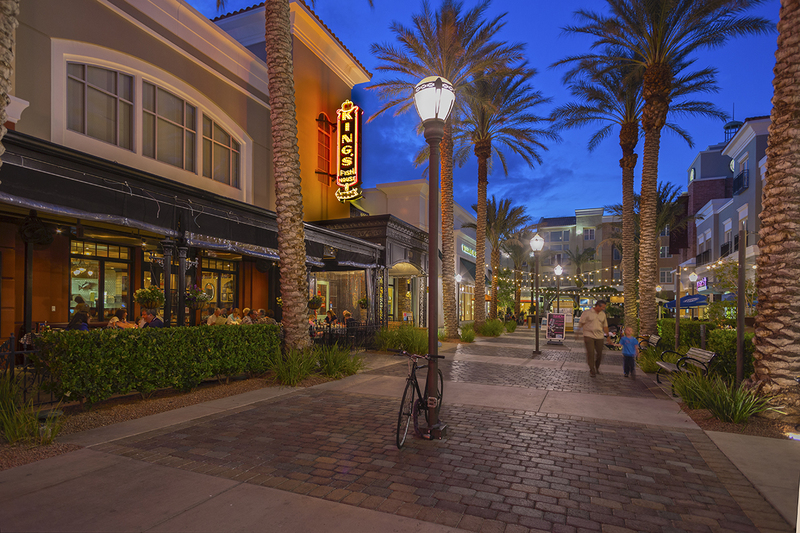 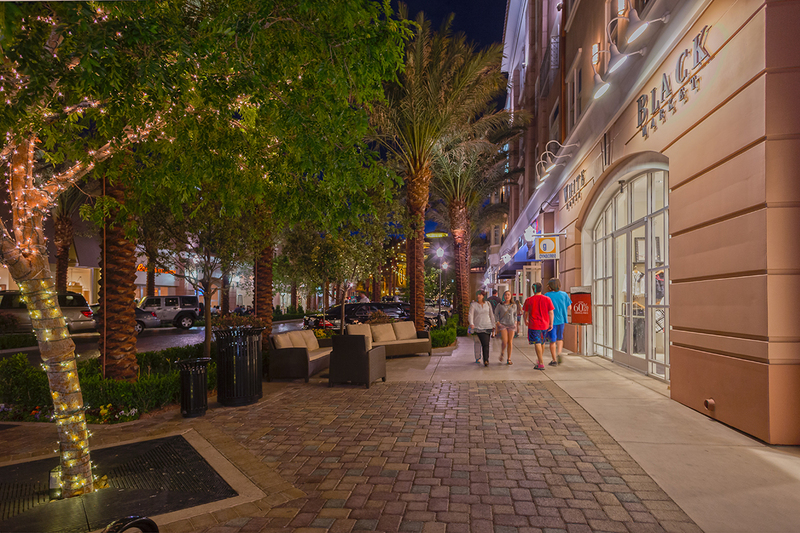 It had a former vehicular drive down the center of the space that was out of scale and often deserted; Lifescapes invigorated the area by converting “Main Street” into a landscape-enhanced corridor lined with majestic palms and other softscape treatments. 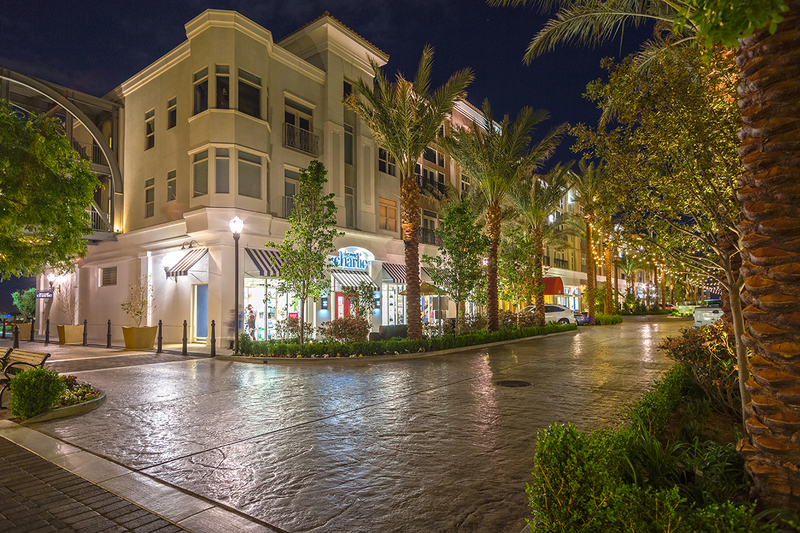 Angular parking places were added in front of the shops to facilitate short-term stays. 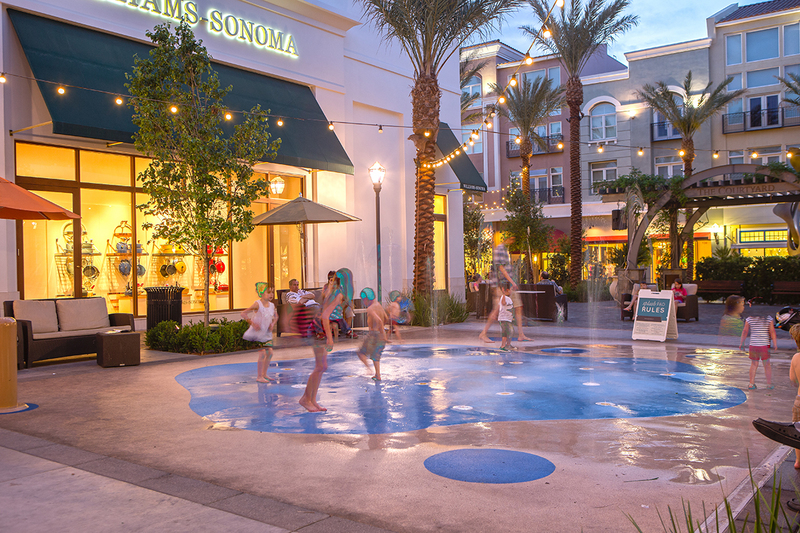 Lifescapes enhanced the paving, added a pop-jet fountain for kids’ and families’ enjoyment, and adorned the outdoor cafe dining experience with hedges and festive evening lighting to greatly improve the property’s customer attraction.